Bryan and I have been married for 13 years today. It has seemed like forever and the blink of an eye as well. We kept our celebration lowkey this year- dinner, a trip to whole foods and happening upon a local outdoor concert. It was perfect. 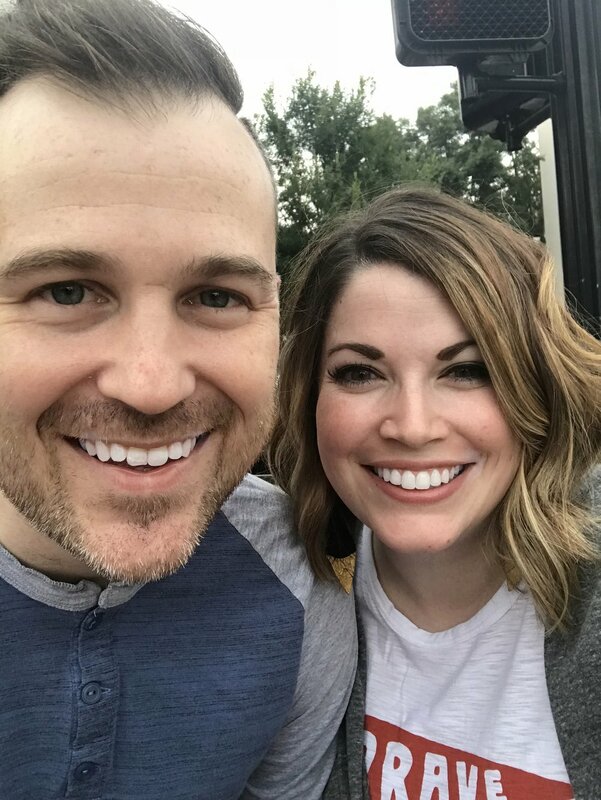 I thought this year that I would share 13 things I have learned in our 13 years of marriage. I thought I loved him most in our first year of marriage, but that is not true, with each passing year my love has grown and changed and deepened. We are each others’ biggest fans. There is no doubt in either of our minds. Parenthood can either strengthen your marriage team or throw a wrench in it. It’s a choice. Encouraging each other to have individual interests- and supporting those is awesome. Taking trips together is vital. Taking trips alone or with friends is also vital. Communication is key. Sounds cliche but it is true. I no longer say, “You should just know…” That isn’t fair to either person. When an argument arises, 99% of the time, if we eat a snack or take a nap- it makes things better. Being hangry and tired breeds bad attitudes in our house. Praying with and for each other is huge. Laugh, hug, kiss and date as much as you can! Continue pursuing each other daily. Some of those are silly, and some are serious, but they are all true! I am so thankful for Bryan, and how we are always a team first. We work hard on our marriage. He is my best friend, and honestly there is no one else I had rather spend time with. So happy to be his wife! Happy lucky number 13, my love! Here’s to 80 more!